PennsylvAsia: "No war against the Democratic People's Republic of Korea!" November 18 in Oakland. 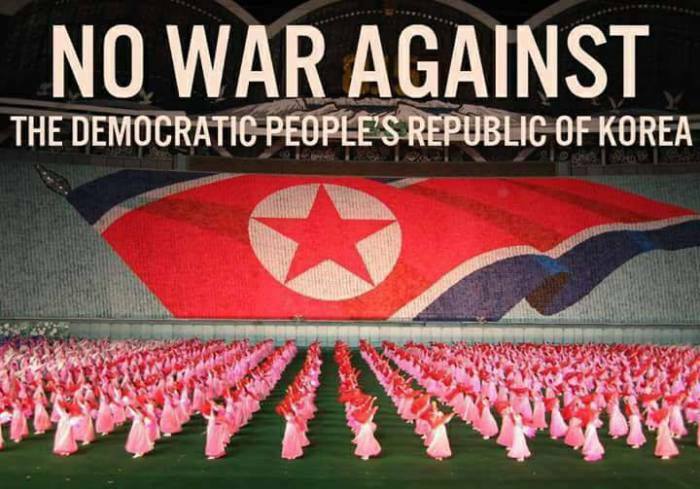 "No war against the Democratic People's Republic of Korea!" November 18 in Oakland. The Pittsburgh Anti-Imperialist League will host Derek Ford of Depauw University for "No war against the Democratic People's Republic of Korea!" on November 18. Join a discussion on the origins of the current crisis and the movement against a new war by the US empire against the Democratic People's Republic of Korea, DPRK. Our speaker Derek Ford, assistant professor at DePauw University, has recently returned from DPRK in August 2017 as an organizer of the latest "Korea Peace Tour", the last civilian tour to DPRK before the travel ban by the Trump regime went into effect. In 2016, Mr. Ford also travelled to South Korea representing the ANSWER Coalition as he participated in the International Forum on Peace and Reunification, visited political prisoners and held meetings with progressive organizations, and joined in several protests and actions. The Trump regime has consistenly engaged in dangerous escalations in Korea, risking re-opening the Korean War. Such a war would risk millions of lives across Asia while sending many poor and working people in the US to do the killing and dying for the US capitalist class. The event runs from 3:30 to 5:30 pm in the Barco Law Building (room 111) at the University of Pittsburgh (map), and is free and open to the public.